In Tibetan culture, and many others, lapis lazuli is considered a most precious stone, often even treasured as more valuable than diamonds. Traditionally, lapis has always been associated with spiritual attainment, honor, vision, the sea, the sky, wisdom, and truth. Among Tibetans and many others, its deep blue color has long been associated with healing. Aligning the mission of Maitripa College with these qualities, we chose the name Lapis for this space in the Maitripa mandala. 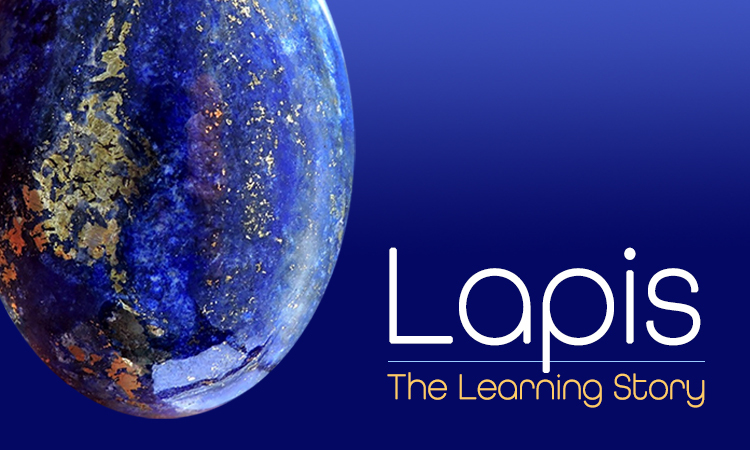 “Lapis: The Learning Story” will reflect the living pedagogical narrative of Maitripa College, which is a completely unique blend of traditional Tibetan Buddhist and Western approaches to teaching and learning. Please check here often for regular glimpses into the unique teaching, learning, and practice that is flourishing in the programs and community at Maitripa College. In the nearly fifteen years that I have been in dialogue with applicants of Maitripa College programs, a few main questions have arisen over and over. These questions are deeply felt and important, and, since they have arisen from many voices over the years, we have decided to focus this conversation around them. Our motivation for learning Tibetan, or learning to translate a Tibetan work into English, tends to be focused on the end result—the way that our labors fulfill the goals of others. But there is another aspect of working with Tibetan texts that is important, which lies in recognizing the value of engaging with them for the purpose of advancing our own development. In this piece, José Cabezón, Dalai Lama Professor of Religious Studies at UC Santa Barbara, President-Elect of the American Academy of Religion, and Maitripa College Trustee, discusses the ways that the act of working with Tibetan texts, and translation itself, is valuable for oneself and valuable as a way of teaching and learning. This piece references the unique, rigorous, painstaking method of Tibetan critical, textual scholarship to highlight contrasts and parallels with the ways that Western students of Buddhist thought generally approach the tradition. At Maitripa College, we see this presentation of the work of doing close reading of texts with a teacher and/or colleagues and the process of transforming those texts into another language through translation as facilitating a kind of spiritual and academic formation, allowing the student to access, examine, and engage with the texts and teachings in ways otherwise not possible.